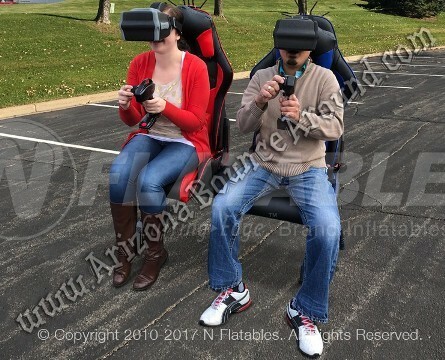 Our massive Virtual Reality Racetrack is new for 2019 and in stock ready to rent. 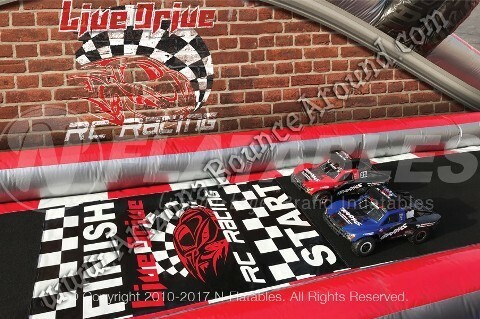 It's an amazing 54 feet wide and comes complete with 2 remote controlled Race Cars, 2 VR headsets, 2 TV monitors with stands, 10x10 racing tent, 2 Racing Seats, 4 racing flags and 1 staff to help operate the game. 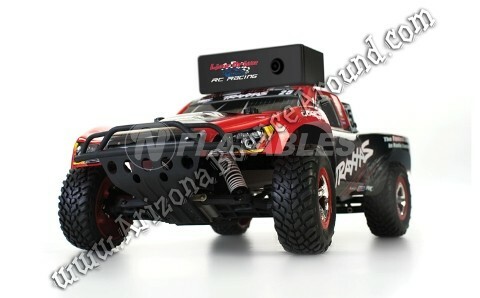 Each car has a camera and sound that each driver controls from the center racing seats. Each driver can choose to use the Virtual Reality goggles or watch it on the monitor as if your in the drivers seat. Spectators san watch you race on the big monitors for live action of what each driver is doing. 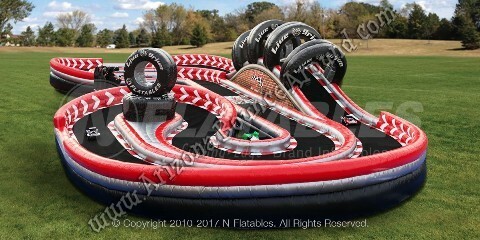 This is a great game for company parties, corporate team building of family fun days in Colorado. It can be setup indoors or out but will require a generator or 3 separate outlets for power.